The ultimate judge of any property, whether it be a movie, book, or TV show, is time. Popular works that are lauded in their day may be forgotten within a year. Nostalgic favorites may be revisited later, only to have aged poorly in the interim. This is especially true for video games, as a relatively young medium that continues to evolve — many games that were at one point graphical marvels or innovatively unique may lose their luster at one point in time. And yet… some endure. Some transcend the march of time to remain classics, their nicks and scratches becoming points of intrigue or charm rather than stains upon a legacy. Their quality remains intact due to sheer personality or uniqueness, showcasing a work whose age is not a mark of shame, but a point of pride. 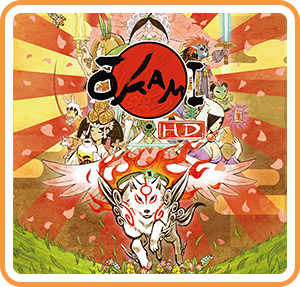 It is of utmost certainty that Ōkami is one of these games. 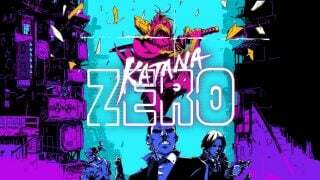 The legendary 2006 title from visionary director and master Twitter blocker Hideki Kamiya and the now defunct Clover Studios (the majority staff of which now comprises PlatinumGames) now arrives on Switch, with the same HD graphics and widescreen resolution that have already adorned other consoles. But via the simple introduction of new control methods, the Switch version provides the definitive edition of what is perhaps the greatest action-adventure game ever made. Long ago, the vile serpent Orochi was slain by the hero Nagi, aided by the white wolf called Shiranui. While the snowy beast succumbed to its injuries afterwards, the legacy of Shiranui and Nagi lived on a century afterwards… until the day that Orochi is revived, spreading its putrid curse across the entire land of Nippon. Driven into a proverbial corner, the wood sprite Sakuya revives Shiranui — the goddess Amaterasu in disguise — and pleas with her to restore the land, help the populace, and smite evil. With the bouncy Issun as a companion, Amaterasu sets off on a journey that spans all of Japanese mythology. Ōkami’s story is rich in many capacities; telling major plot beats in a folkloric and slow-paced voice that is appropriately reminiscent of myth. Rather than be one long, continuous plot, the game is split into roughly three arcs that take Amaterasu across the entire land, again displaying a legendary quality similar to poetic tales of old. Nearly every character or plot beat is in part a reference to Japanese legends or Shinto lore, from The Tale of the Bamboo Cutter to the story of Urashima Tarō to countless more, but each and every one has a creative spin that goes far beyond a simple retelling, deftly woven in to Amaterasu’s greater quest. 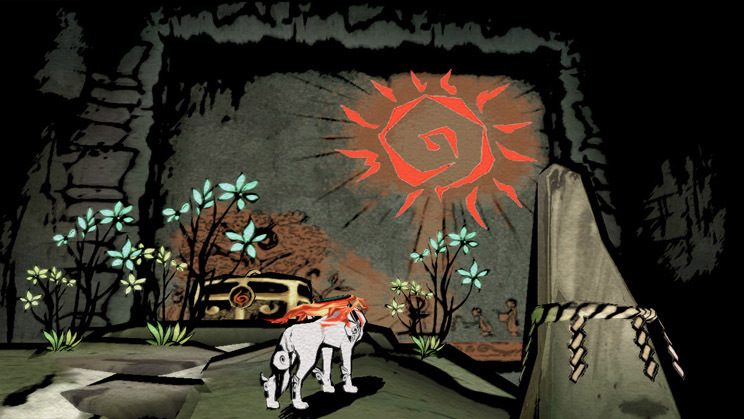 While Ōkami’s storytelling is not the apex of the medium, it wholeheartedly succeeds at what it attempts to do: crafting a world of ancient Japanese fantasy, drawing from old tales and offering a unique verve on them. The game prompted an interest in mythology and legend in my youth, and replaying it all these years later, I still found new characters and stories to dive into. 2006 was right around the time in which HD graphics were starting to become a thing, with the turn of a new console generation, and as a result of that push to make the glamorous high-fidelity fare that would turn heads, many games of that age look rather poor nowadays. Ōkami, meanwhile, opted for stylism over resolution, and as a result it looks just as stunning now as it did then. 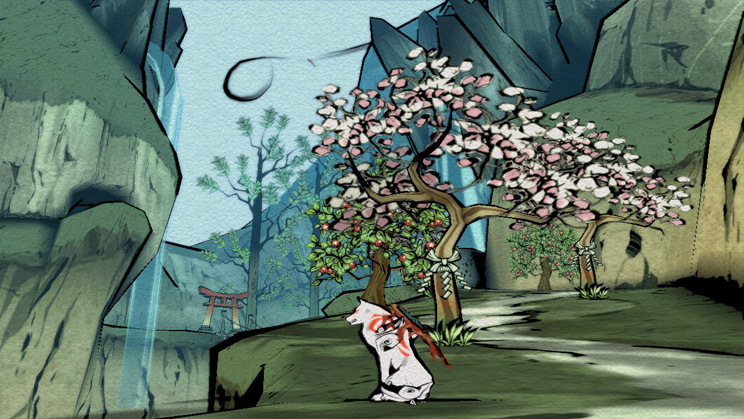 The game’s thick outlines and overall painterly aesthetic belong more in an indie title than a Capcom-published game, but Ōkami is unsparing and unceasing in its prettiness. 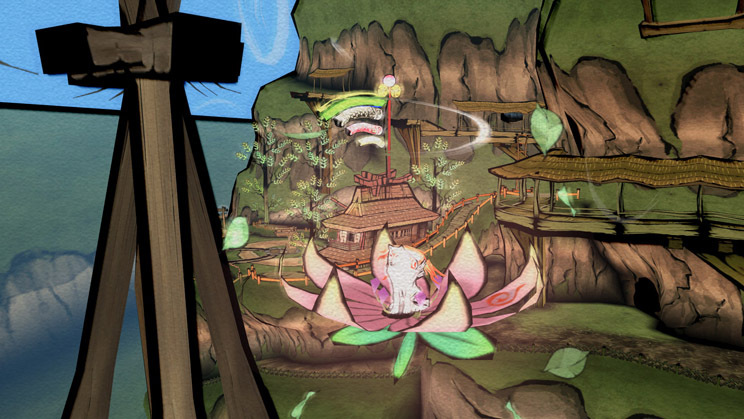 From the ethereal outlines of mountains that hang in the distance to the dreariness of cursed areas to the absolutely jaw-dropping gorgeousness that occurs during Great Divine Interventions, as a wave of lush greenery overpowers inky blackness, the art style in Ōkami is the perpetual gold standard, providing beauty after beauty in every area. But if I adore the game’s visual appeal, there are no words in the English language that can properly express my reverence for the game’s soundtrack. It’s… it’s just perfect. Utilizing traditional Japanese instruments like flutes and taiko drums and masterfully fitting the score to each and every individual moment and scene, the OST both retains an overall aesthetic quality and adapts to the mood of the moment, capturing the beauteous restoration of nature, the creeping terror of demons, and the wistful melancholy of a farewell in simple music. Seriously, I could make the entire review about just the soundtrack and I’d probably still have room to gush. 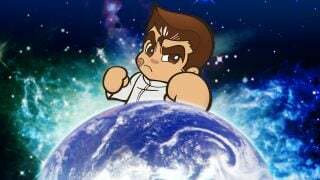 There’s Ryoshima Plains’ bombastic majesty, the playful giddiness of Issun’s Theme, the intense desperation replete in every boss theme… not to mention the game’s final hour has about five separate tracks that are masterpieces on their own. 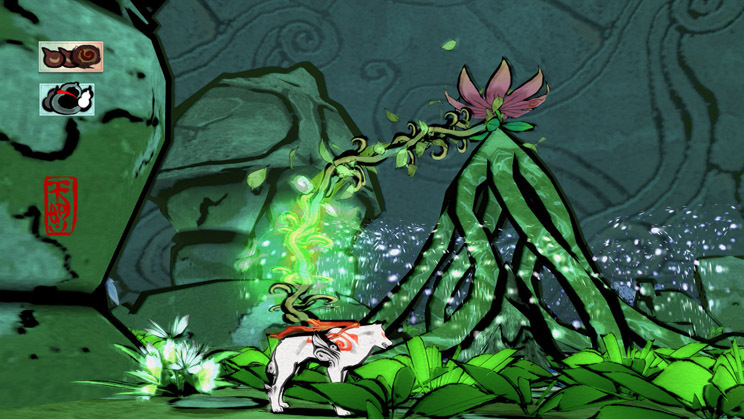 Fused with the game’s visual style, Ōkami’s aesthetic is flawless in every aspect, seamlessly transporting the player to a mystical land separate from any notion or realism or banality. 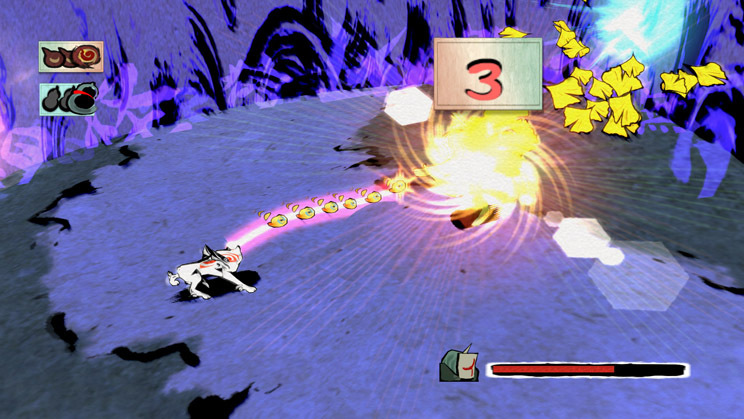 Of course, Ōkami’s gameplay is no slouch either, providing a mix of glorious combat and Zelda-esque adventure all tied to the game’s central mechanic: the Celestial Brush. The majority of Amaterasu’s abilities are not tied to items you have to equip or de-equip, but rather techniques utilized with ink, as you literally draw over the world to rewrite reality. This ranges from simple moves like slashing to controlling various elements to a whole lot more — and in the Switch version, it works better than ever, thanks to what I’ve wanted in this game since I first played it over a decade ago: touch controls. The game supports all control schemes of ports past, from the classic PlayStation analog controls to the Wii’s motion based inking, but the touch screen in portable mode provides the true way to play. From power slashing, to filling in holes, to so much more, it provides quick, seamless action at the touch of your finger — and you can still use it with a mix of traditional controls for a more optimized setup. With it, an already wonderful mechanic becomes so much greater. Combat remains rooted in that spectacular Kamiya style, though it’s not quite as expansive and flashy as something like Bayonetta and is a bit more akin to the game’s Zelda-styled framework. With three types of weapons (mirrors, beads, and glaives) and a smattering brush techniques, each enemy proves a mixture of foe and puzzle, as you determine the optimal way to finish them off. You’re ranked and rewarded for speed and taking less damage, driving you to do better with each encounter. The enemies strike a wide breadth, going from comical to terrifying, both iterating and innovating to create new challenge as you go along in your journey. You can also learn to take a leak (and, eventually, a dump) on them for profit. This game is a masterpiece. And there’s a whole bevy of side quests for you to sink your fangs into, too. Focused less on fighting and more on assisting laypeople with daily tasks via the Brush, there’s no shortage of ills to treat as you cross the land, from helping with laundry to digging up holes to much, much more. You’ll mostly get Praise used to upgrade yourself along the way, but there’s also special techniques and items you can acquire, making every task you do feel worthwhile. Nothing feels oblique or tedious, and the characters you help are diverse and unique. The game feels as if there isn’t a single wasted moment in its dozens of hours of playtime, which is an incredible feat for a game of this size. I could go on and on about the little details of why I love this game so much, but there’s only so much you can realistically stuff into a review. My run-through of the game lasted around 26 or 27 hours, but since I knew what to do and where to go you can expect a first-timer to go a decent bit longer, probably somewhere between 30 to 35 hours. The game feels much longer than that, but in a good way — there were many moments when I remarked to myself how far I’d gone in such a relatively short amount of time. What makes this experience so special is not the mere sum of its parts, but the way in which they complement each other so beautifully. 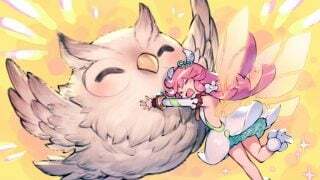 It’s common for a game to have a nice soundtrack, or a good story, or neat mechanics, but to see them work together so harmoniously to bolster the game’s themes of nature, respect, and beauty is something special indeed. Every last aspect of the game contributes; every design element has thought and purpose behind it. It’s what made it stand out in 2006, and what makes it stand out today. Ōkami is simply one of my favorite games of all time. Its rich landscape provides no shortage of mysticality or character. Its aesthetic is as close to fully realized as possible. Every moment spent feels like a treasure; an experience that no other game, franchise, or thing in this world can provide. It will forever be a landmark of style, remaining vibrant and vivid long after its release. It is a feast for the senses, a splendor of divine properties, and one of the finest games to ever be made. I absolutely became absorbed in this game, from very clever puzzles to the fighting. The adventure was fabulous. Have just completed it. I would recommend this game to everyone.